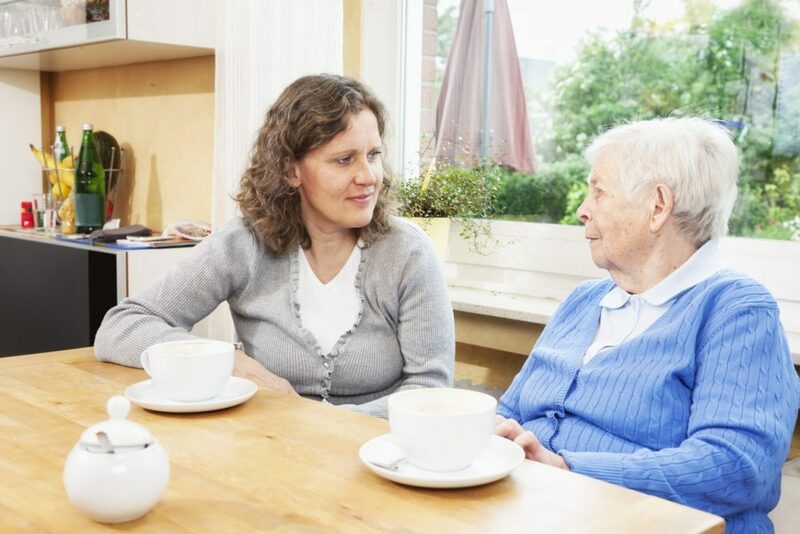 In this blog, Kit Byatt (KB), a recently retired geriatrician, and Sarah Chapman (SC), from Cochrane UK, reflect on their discussion about helping an elderly relative decide whether having a test and a treatment offered would be in her best interests. Marian is an 84 year old, living in sheltered accommodation and enjoying reasonable health, although her worsening memory loss and severe deafness cause her a lot of frustration, and a fractured femur ten years ago has left her unsteady on her feet. Her only medication is an ACE inhibitor for mild hypertension. Frequent nosebleeds lead her daughter to seek a GP appointment for her. Marian is seen, for the first time, in the Total Care of the Older Person Clinic, based at the GP surgery, where she is found to have raised blood pressure (unsurprisingly; she had forgotten the appointment and had to be rushed) and raised cholesterol. It is arranged for her to be brought back for a fasting blood test and commencing statin therapy is suggested. Marian thinks this is a good idea, as she is told this will reduce her risk of having a stroke or heart attack. Well Marian is, in fact, my mother, and when my sister tells me about this my response is “statins? No!” Then I remember I need to find out what evidence there is to help with this decision. I ought to be better placed than most to do this. 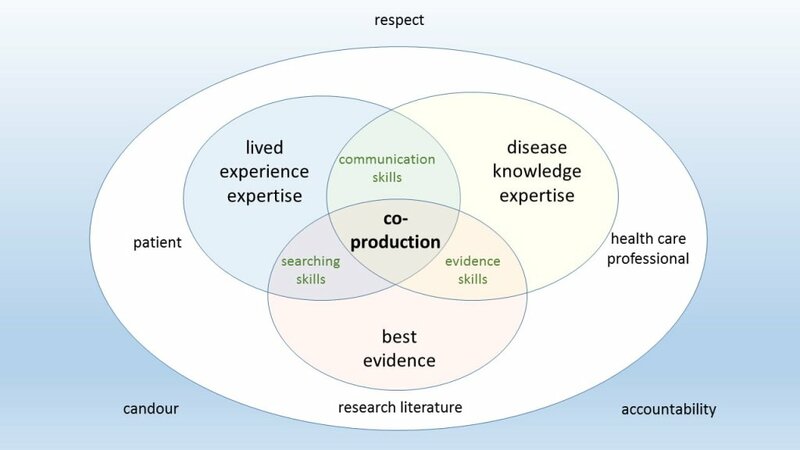 But knowing what the evidence shows is just one of three vital elements that are recognised as the core components of evidence-based medicine (EBM), the others being the patient’s preferences and values, and clinical judgement. Our mum’s priority, we know from earlier conversations, is to have the best quality of life possible, while she has no desire for her life to be prolonged. This is something we need to keep at the forefront of our minds in supporting her to make decisions about investigations and treatment. But I have so many questions, and a sense that a process has been triggered that we may find ourselves powerless to stop. I feel the need to put the brakes on it while we work out what might be in her best interests. I head straight to Twitter and send a private message to Kit, whom I know online and have met, too briefly, at conferences. I go to Kit because I expect that he will have any relevant evidence at his fingertips and I trust his clinical expertise. I have a sense of shared values too, and indeed we are to benefit from Kit’s clear thinking and wise counsel, which I feel we need as much as the other stuff. What follows shows how we worked through the issues facing my Mum and those of us supporting her, but also presents some principles which should be useful for others to consider in similar situations of their own. c) the HCP is sensitive to the hopes, fears, preferences and priorities of the patient. This aspiration is of course more difficult when cognitive impairment prevents the patient being able to remember or articulate their preferences. 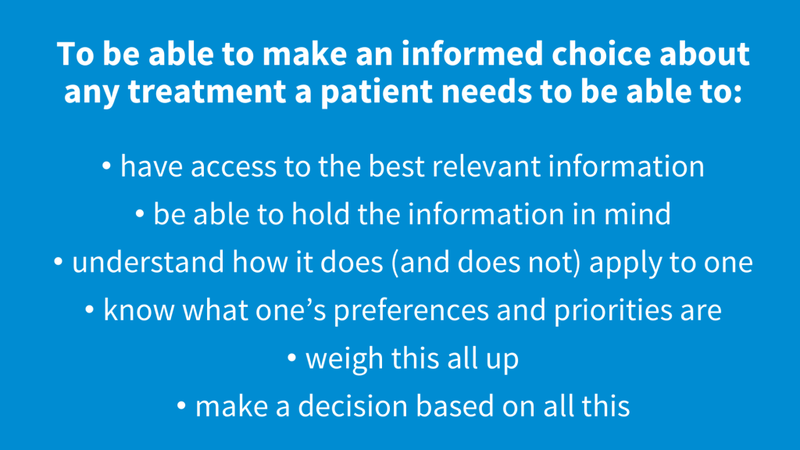 It can be difficult for an HCP to know how far an advocate’s summary of the patient’s preferences represent the patient’s actual preferences, what the advocate thinks they are, or what the advocate thinks they ought to be. If a relationship has already been established between the three parties, this is much easier. Richard Bauchner, editor-in-chief of JAMA has said (personal communication) that the proportion of patient preference, clinical experience and evidence in the EBM triad varies, according to the clinical situation. In acute illness, the latter two components tend to predominate, whereas in long term conditions and end of life care the first component tends to. Should Marian have a fasting blood test? A simple question, at first sight. But when we dissect it, there are different aspects, both practical and academic. 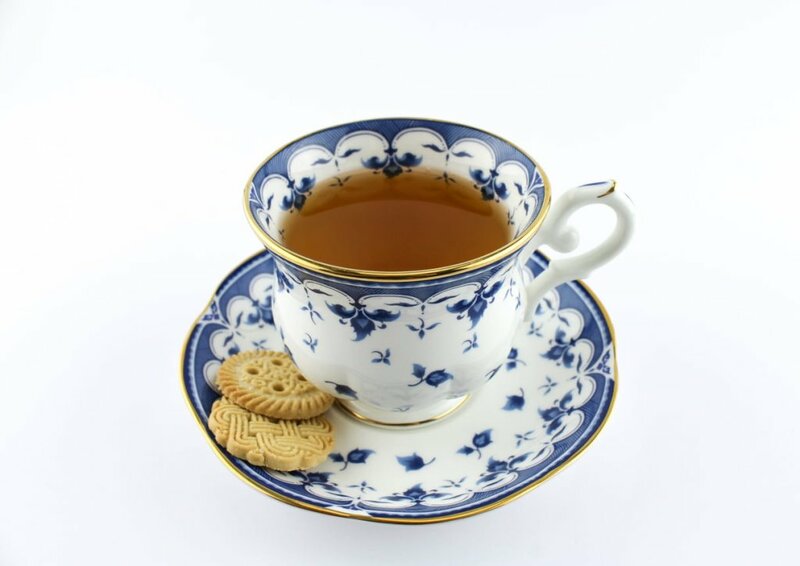 On a general practical note, even with the best will in the world, it can be difficult to ensure someone with a dementia illness and/or poor short-term memory remains fasting prior to a blood test. Equally, how does one ensure that the opposite doesn’t occur, with the patient ending up eating and drinking nothing at all for many hours? Managing this can be difficult when there is someone else living with the patient; it can be nigh-on impossible when the patient lives alone. Much angst can be induced among carers and relatives, who often feel guilty as a result, and anxious about the impact of such a mishap. The anxiety, guilt and at times anger thus generated can have adverse effects on the patient-carer relationship in the short term. Even if one can manage it, people with memory problems (whether formally diagnosed with a dementia illness, or not) depend increasingly on routines as their problems progress. Disruption of routine is a well recognised precipitant of delirium – a temporary worsening of the person’s cognitive function. On a more academic note, studies have shown that fasting has little effect on cholesterol levels (significantly affecting only triglycerides), and as a result NICE has changed its guidance on the subject so that fasting is not now recommended. There is thus no reason here to subject Marian (and her relatives) to such a test. 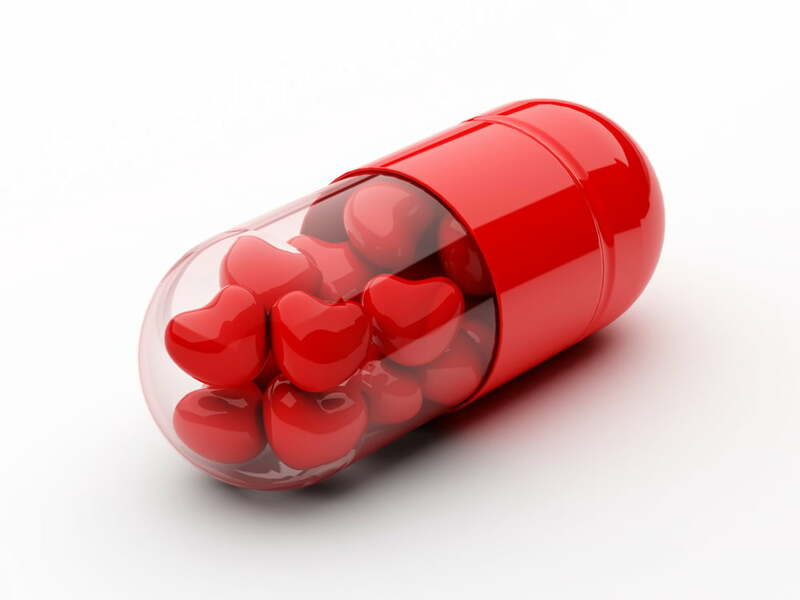 Statins are the most commonly prescribed medications in the UK. There have been over 1200 RCTs studying statins in humans published on Medline in the past 10 years, and 29 systematic reviews concerning statins are currently available in the Cochrane library. This would suggest to the uninitiated that any decisions in this clinical situation would be underpinned by a mass of supporting information and/or guidance. Unfortunately, in the context of Marian, the vast majority of these studies and reviews fall at the critical first hurdle: “Does this study apply to my patient?” In other words, would my patient satisfy the inclusion criteria and not contravene the exclusion criteria for this trial’s protocol? 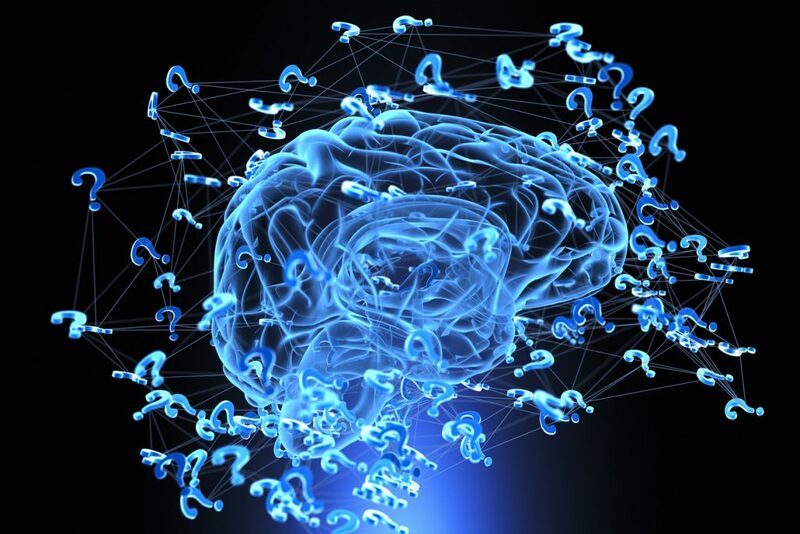 Until relatively recently, dementia or multiple co-morbidities have both tended to be exclusion criteria in large studies, in order to maximise the reliability (i.e. homogeneity of the subjects, and thus reproducibility) of trials. This focus on robust internal validity has to some extent resulted in the generalisability (or external validity) being reduced. Looking at evidence on statins: does it apply to THIS person? Studies which are not able to give absolute estimates of a given risk, and the impact on this of treatment, (e.g. NNT, NNH) make the data therein difficult to apply to a given patient in front of one. In the end, different people will take away different messages from the same paper, based on a number of cognitive biases. I remember hearing Richard Doll argue (in a debate about statins at the 2015 ‘Evidence Live’ conference) that statins couldn’t cause side effects, because none had be shown to occur in RCTs. That was his reality. Klim McPherson, who was debating the topic with him, had stopped taking statins “…because they gave me muscle pains.” That was his reality. What will the patient’s reality be? Who knows? Arguably, the most relevant study looking at statins in patients over 80 is the PROSPER study. This is a prospective randomised controlled trial of statins in older patients. On checking, I see it recruited patients aged 70 – 82 with known vascular disease, or risk factors. Most of the other studies of statins had a small proportion of patients over 80. However, even PROSPER is not completely applicable as their protocol excluded patients with cognitive impairment (a mini mental state examination score of <24/30). Even if one accepts all these caveats, the reported benefit of statins in this older group of patients in the PROSPER trial was only seen among male patients! Having explored the evidence, I feel the potential for harms may well outweigh any likely benefit. This certainly doesn’t look like a simple case of “take these and you can reduce your risk of stroke and heart attack”, so we need to find a good way to share this with Mum and establish her priorities and preferences. For an excellent worked example of the challenges in applying evidence to a case in long term conditions – and the surrounding cognitive biases – see Richard Lehman’s perceptive blog on using spironolactone in an older patient with heart failure. What is the risk of stroke/heart attack on treatment? What is the risk of same off treatment? My experience is that many GPs are only too happy not to be over-enthusiastic in this patient group, if given permission. Understandably, they don’t want to be criticised for ‘ageism’ or negligence (as many folk wrongly perceive more must be better!). You may well be pushing at an open door. Ask your mum if she wants or likes to take tablets. Take a copy of the paper to the consultation – ambush the GP! Let the GP prescribe what they will, and see how your mum gets on. This is a way of getting the family (ideally including the person they are supporting) to think about and discuss their various views on these topics. If there is a consensus on the answers, this helps to give a strong mandate to take to the GP, which in turn usually makes their decision much easier. 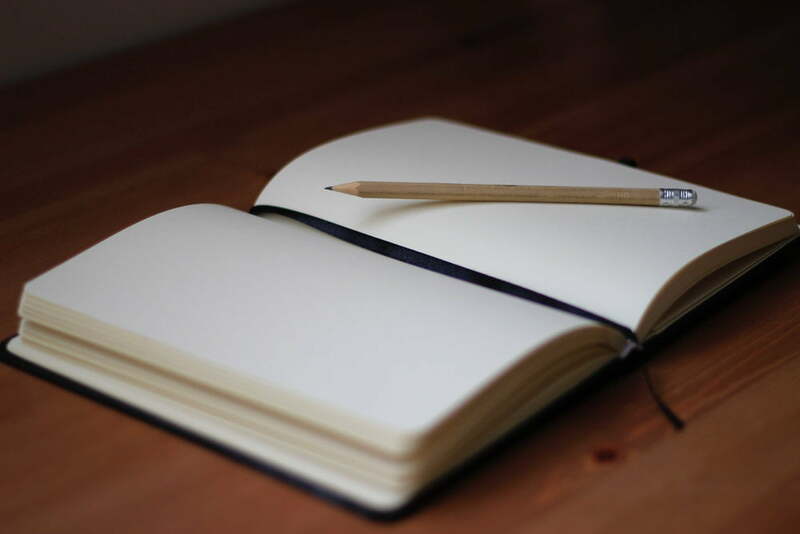 It’s a useful exercise to write down the person’s priorities; hopes, fears and preferences; what is seen as their ‘best interest’; and what would be the best and worst outcomes. There are other important questions to consider, if not previously discussed. What should her ceiling of treatment be, if complications or new problems? Does she have a preference as to where she would prefer to die? The social mores of the generation of people born before the Second World War is a tendency to be polite, displaying gratitude and deference – especially to professionals such as doctors and nurses. This can result in people agreeing to whatever interventions are recommended by health care professionals. But it is important to work out what is best for THIS person (you, or someone you are supporting). Simply accepting what is on offer may not be in the patient’s best interests. The questions Kit suggested led us into a really helpful discussions with Mum and between us sisters. We gave a copy of Kit’s paper to Mum and talked to her about the key points. She decided she was happy not to take them. We also, as a result of these discussions, have a better understanding of what matters to Mum. We are aware that Mum’s memory problems have reduced her ability to retain and manipulate information. We can’t be sure that the GP will be willing to involve us in decision-making. We have Lasting Power of Attorney (Health and Welfare) but haven’t activated it. The Mental Capacity Act 2005 sets out explicitly what the factors are relating to a person making valid decisions. One of the five key principles is that a person is assumed to be able to make a particular decision unless proven otherwise. Another important principle is that the law gives people the right to make decisions that others might feel unwise or eccentric, so long as they have not been proven to lack capacity. Interestingly, test of cognitive function (e.g. MMSE, AMTS, MOCCA) are not a formal part of the assessment process. Finally, the law expects the least restrictive option available to be chosen. Any decision is context- and time-specific. There is no generic presence or absence of capacity. If, after formal checking following the accepted approach, the patient’s advocate(s) believe the patient’s professed preference is not in his/her best interest, they can override it either if they have Power of Attorney, or by going through the Court of Protection. In an emergency, doctors may act directly in (what they believe is) the patient’s best interest. Assessing capacity to make decisions: this is context- and time-specific. We wrote to the GP giving the link to Kit’s paper, saying we had discussed it with Mum and that if he felt further discussion would be helpful we would be interested in his view of the risk of MI/stroke both on and off treatment, and the evidence base for each. We said that we had cancelled the fasting blood test but that if he felt there was justification for a non-fasting test we could go ahead with that. Mum’s own GP, who was not the one who had suggested starting statins, said he was happy with the decision not to commence statins. Primarily focus on treating that person, not the ‘average’ person, or the numbers! 1. The EBM triad of patient values and preferences, best evidence and clinical judgement is so much more than just a neat diagram! 2. ‘Simple’ procedures, like blood tests, may not be simple at all for a particular person and those supporting them. 3. Tests and treatments that are offered may not be in their best interests. Fast forward six months, and a home visit to Mum by a different GP during a period of illness began a really helpful relationship between the three of us, characterised by good communication, kindness and a clear understanding of Mum’s priorities. Unsure that an invasive diagnostic procedure that had been suggested would be in Mum’s best interests, Mum and I went to see a consultant to discuss it. Between us, we decided against further investigation, a decision fully supported by both hospital doctor and GP. The consultant commented that “just because we can do something, doesn’t mean we should” – wise words and ones that sum up the whole of this story. Join in the conversation on Twitter with Kit @Laconic_Doc SarahChapman30 @CochraneUK or leave a comment on the blog. Kit Byatt reports other from Animal Free Medical Research UK (formerly Dr Hadwen Trust), outside the submitted work.